How does Jesus, and the ancient Scriptures he held sacred, help us get our bearings in this multifarious, complicated, conflicted, and increasingly endangered planet? First, seek theological insight that can guide our practice. In Navigating the Meanings of Being a Christian, Mark Deleaney invites us on his journey of theological reflection twenty years after his certainties were shaken by a life-changing encounter in an Indian slum. In Evangelism in a Pluralist Society, Ross Farley applies his experience of evangelism in sensitive contexts to a careful review of evangelism in the New Testament and finds that what we call evangelism bears little relationship to the Gospel and Acts. On the subject of HIV epidemics, Greg Manning and Dave Andrews have joined the struggle to reduce HIV infection rates and witnessed the stigmatization of vulnerable people based on misapplied Christian moral teaching. In Supporting HIV Prevention as People of Faith, they consider the Sermon on the Mount as a valuable framework for dealing sensitively and effectively with people vulnerable to HIV infection. Second, critically reflect on possible distortions that come from our own perspectives. In his essay Liberation Theologians Speak to Evangelicals, Charles Ringma shows how Liberation Theologians can shed light on the inadequacies of the evangelical movement in its perspective on God's love for the poor. Helen Beazley's essay Antidote for a Poisoned Planet? examines whether stewardship--the dominant framework informing evangelical perspectives on the environment--can alone radically reorient Christians in their relationship to creation so necessary for its renewal. Third, look for the challenges in the Bible that critique our current orientations and call us to be reconverted. 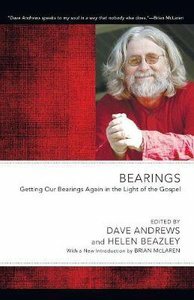 In An Evangelical Approach to Interfaith Engagement, Dave Andrews takes one of our most precious articles of exclusive faith, Jesus is the Way, and makes it a framework for inclusive interfaith dialogue by exploring the Way that Jesus in the Gospels advocated engaging with people from other traditions and religions. In Australia--Whose Land? Peter Adams allows himself to be utterly transformed by the Bible's clear ethical teaching, which, he convincingly argues, must be applied in all its fullness to the injustice of Europeans towards indigenous Australians.